Hammer House of Horror • View topic - Twin Faces of Evil Farm - think I've found it. 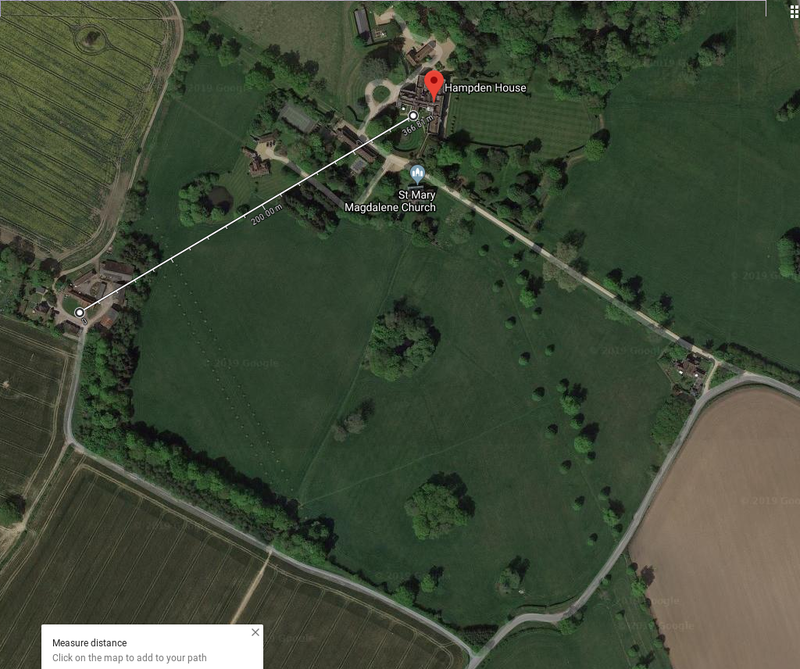 < Filming Locations ~ Twin Faces of Evil Farm - think I've found it. Last edited by andy_pagin on Mon Feb 18, 2019 11:58 pm, edited 1 time in total. It certainly has the right distinct stilts. So where is it then ? I'll be at the house this morning, I'll tell you the full story from there. Well I've been trying to find that farm for years, I spent hours scouring google earth and researching staddle barns in Buckinghamshire, all to no avail. 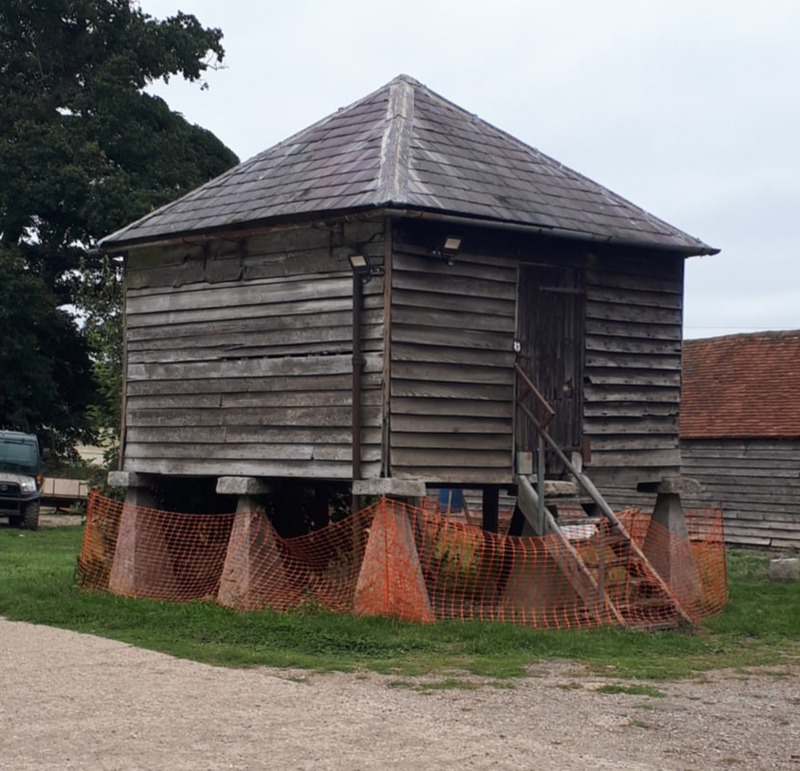 I found out that it is not in fact a staddle barn, its too small and is in fact a game larder, these are mainly found in Scotland, so I surmised Hammer must have been shooting another production north of the border and filmed that scene while they were there. I more or less gave up looking and forgot all about it. Now as some of you may know I work at 'The House' occasionally. Usually I get there via the long gravel drive that goes past the church, but on one occasion we were having the driveway re-surfaced to I was give directions to the other side of the estate that took me down a farm track and through a farmyard. As I pulled into the farmyard there it was, right in front of me, I was utterly stunned. It's precisely four hundred and three yards from the house! It doesn't look precisely as in Twin Faces of Evil, but then this is a working farm and the larders' almost certainly still in use, after all Hampden has a very fine Pheasant shoot. I suspect it's been re-roofed and had other repairs over the decades. So there you go, It was right under my nose all the time. Please remember this is on PRIVATE PROPERTY. Amazing it was right on your doorstep the whole time ! I'd been searching for this location too, and even looked at that farm on Google Maps but couldn't make out the barn, so discounted it.